It is in this spirit that the National Council of Churches in the Philippines (NCCP) joins the growing number of organizations here and abroad in expressing deep concern on the list of 600 people listed by the Department of Justice (DOJ) as supporters or leaders of the Communist Party of the Philippines – New People’s Army. 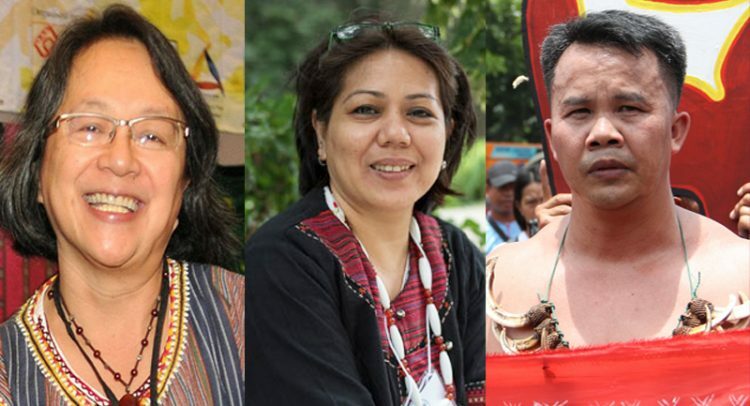 We share the sentiment that such a list is a potential threat to human rights defenders, peace advocates and leaders of indigenous peoples whose names have been included in that list. The list includes UN Special Rapporteur on the Rights of Indigenous People, Victoria Tauli-Corpuz, indigenous people’s right activists like Ms. Beverly Longid, Mr. Windel Bolinget, some 20 datus from Lumad communities, and some who are involved in the peace talks between the Philippine government and the National Democratic Front of the Philippines. Lessons of the past will remind us that such lists have been used to target and silence rights defenders and peace advocates by tagging them as terrorists. Principled dissent is a hallmark of democracy and gives for a lively and robust direction for genuine transformation. Labeling advocates as terrorists leaves them vulnerable. We respectfully appeal to the President to instruct the Department of Justice to withdraw the list and the petition. In the same Easter spirit, too, do we are grateful that the President has expressed once more to give peace a chance. We pray that the peace negotiations resume and that the peace process will draw to a successful end. We are almost there. Enough of the killing and the strife. There is by far no better alternative to the peace talks. Amidst the tumult brought about by the varied needs and concerns of the people who followed Jesus, our Lord instructed his disciples to make the people sit down (John 6:10). This Easter season, the feast of the resurrection of our Lord declares Christ’s sovereignty where he is hailed as King of Kings and Lord of Lords. May it be so to us in this beloved land.